Philip Douglas ‘Phil’ Taylor (born 13 August 1960) is an English professional darts player, nicknamed Phil “The Power” Taylor. His sustained success and career achievements have led to him being regarded by fans, critics and fellow professionals as the best darts player of all time. He has won more than 200 professional tournaments, including 80 major titles and a record 16 World Championships. No darts player has a winning record against him. 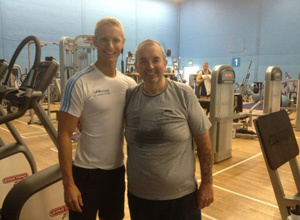 Phil has trained with FY-Fitness’ own Matt Wilkinson at Ribby Hall to great success and recommends him to anyone! 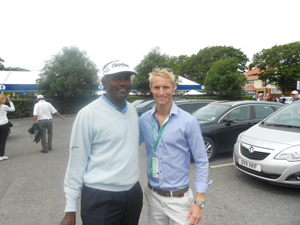 Vijay Singh, CF (born 22 February 1963), nicknamed “The Big Fijian”, is a Fijian professional golfer who was Number 1 in the Official World Golf Ranking for 32 weeks in 2004 and 2005. He has won three major championships (The Masters in 2000 and the PGA Championship in 1998 and 2004) and was the leading PGA Tour money winner in 2003, 2004 and 2008. He was elected to the World Golf Hall of Fame in 2005 (but deferred his induction until 2006). He won the FedEx Cup in 2008. Vijay recommends the 1:1 FY-Fitness classes and holds Matts training methods in high regard after his experiences at the Ribby Hall Spa Hotel.